You'll be £14.99 closer to your next £10.00 credit when you purchase Criminal Women 1850-1920. What's this? Women are among the hardest individuals to trace through the historical record and this is especially true of female offenders who had a vested interest in not wanting to be found. That is why this thought-provoking and accessible handbook by Lucy Williams and Barry Godfrey is of such value. It looks beyond the crimes and the newspaper reports of women criminals in the Victorian era in order to reveal the reality of their personal and penal journeys, and it provides a guide for researchers who are keen to explore this intriguing and neglected subject. The book is split into three sections. There is an introduction outlining the historical context for the study of female crime and punishment, then a series of real-life case studies which show in a vivid way the complexity of female offenders’ lives and follows them through the penal system. The third section is a detailed guide to archival and online sources that readers can consult in order to explore the life-histories of criminal women. The result is a rare combination of academic guide and how-to-do-it manual. It introduces readers to the latest research in the field and it gives them all the information they need to carry out their own research. 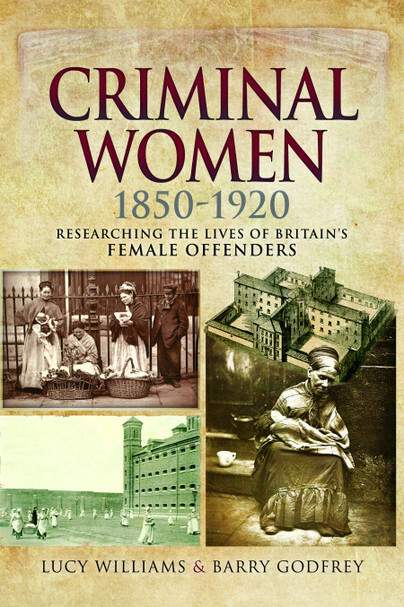 This is a solidly researched and helpfully formulated volume, which will appeal both to those with an established interest in criminology and those wondering how best to find out more about their female ancestors who fell foul of the law. The third and final part reviews the source materials that may still be available for similar research. It also includes a short section about four gaol museums in the UK, Ireland and Australia: the authors note that the need to provide visitors with entertainment as well as education obscures the reality of life for the prisoners. The book is intended, and will be most useful, as a guide for both academic and family history researchers. The subject matter is peripheral to police history but it will still provide relevant guidance for those researching the lives of police officers and their customers. A well-researched and instructive book, in which the authors share their considerable professional expertise in this fascinating, yet often overlooked, area of research into life in the past. It is easy to follow, with clear explanations and ideas for further study. The title is an essential reference for those who are interested in crime history, as well as providing inspiration for all family historians to look more closely at the experience of lawbreaking women in the past.